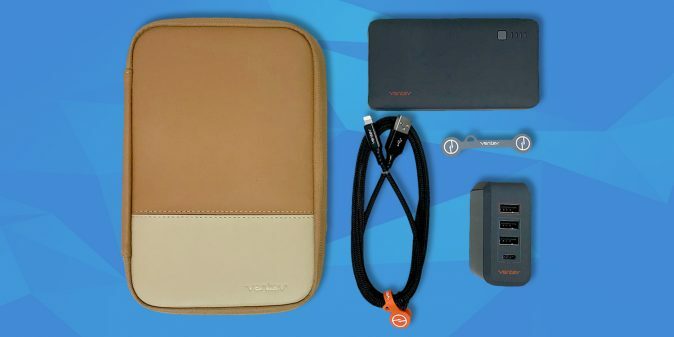 Digital Trends has teamed up with Ventev to gift 3 of their fans with amazing power bank bundles! To enter in their latest Ventev Powercell 6010+ Backup Battery Giveaway grab your free entries by following few simple steps listed down below! This combination battery and wall charger includes a built-in Apple Lightning cable, and folding AC prongs. Slim and compact, the powercell 6010+ charges two devices at once, with a total output of 12W, giving you the perfect portable power backup. 1-Year Warranty. The Ventev powercell 6010+ is a combination portable battery and wall charger in one device. Featuring an Apple Lightning™ cable along with folding AC prongs, the powercell 6010+ can charge two devices at once with a total output of 12W (5V, 2.4A). With its slim, compact design, the powercell 6010+ is the perfect portable power solution. Winner will be notified by email or Twitter account provided in the Entry Information on or about 48 hours after the random drawing. Potential winner must accept a prize by email as directed by Sponsor within 48 hours of notification. Any winner notification not responded to or returned as undeliverable may result in prize forfeiture.